How To Constantly Backup Your Files To The Cloud. USB stick: this process of file backups, involves saving files in a universal serial bus stick, which has an advantage of being highly mobile and light in weight, allowing you access to your files as long as you’re with your USB stick. This system of files backups has fewer advantage and so many limitations which includes low memory capacity, although some of the modernized drives comes in bigger memory capacity like 2TB but risks arising from virus attacks, misplacement, crashing and sometimes might not be visible to drives as a result of problem arising from the slots and port and so many more cannot be over emphasis. 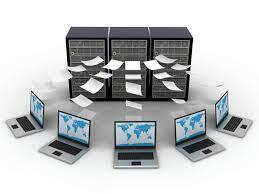 Hard Disk Drive: hard disk drives are one of those major devices, use today all over the world to backup files. Even though it is not that very much reliable, so many persons who carefully used theirs, have believe that a hard disk drive can serve from ten years and above depending on the management skill employed during usage. Hard Disk Drives allows for files backups, it neither update nor does it mange files, all it does is saving and for this reason it is vulnerable to attacks and when this happens, a person’s using the drive might be at risk of losing files worth of more than he could think of. This is why, the best form of back is done using the cloud system where you neither need to carry devices around nor think of how to do disaster recovery. The cloud back up offer easy and peace hence your certain that your files always remains available and another good thing of employing cloud is the flexibility it offers which allows your files to remain accessible to your from anywhere around the world. Cloud Back: This process of file backs includes backing up absolutely everything you have to the cloud including contacts, files, photos, music, videos and many other things you might not want to lose in the near future. Cloud backups come with so many advantages, so as, constant files updates, protection against vulnerability of any kind, files available at the tip of your finger with a single sign in. Unlimited memory to explore. Just to mention but a few of them. How to set up constant cloud backups using a Gmail account. Login to your play store using your Gmail account once this is done, all the apps you downloaded using this account will automatically backup and will always follow your Gmail at a single sign In, anywhere, in this case you have absolutely backup all your favorite apps on your device. To backup photos to the cloud using your Gmail account is one of the safest methods of keeping memories alive because you will always find them. To do this sign in or sign up for a free Gmail account and enjoy unlimited storage for photos, music, and other files you will like want to keep for future. To constantly backup new apps, new photos and new files set your setting to synchronize always, in this method, every new contact, photos, and file will automatically backup at the tip of a every wireless network depending on how you set you back up method either over WIFI only or Mobile data. ← This Why We Move To Long Term Evolution (LTE) Technologies.